On December 12, 2012, North Korea finally succeeded in placing an object into low Earth orbit. Recovered debris of the launcher’s first stage verified some previous assumptions about the launch system, but it also included some surprises. Independent from the technical findings and their consequences, the public debate seems to miss some important points. Threat is a product of two parameters: intention and capability. If a potential actor has the intention to act, but no capability, there is no threat. If the actor has the capability, but no intention, there is no threat either. Only the combination creates a real threat, but this threat is limited by the magnitude of both factors. 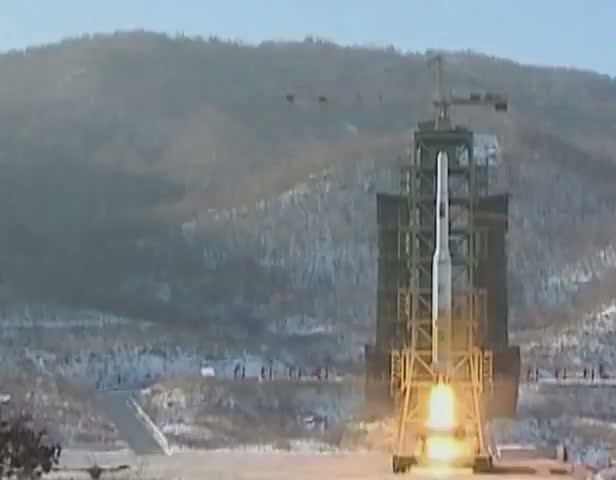 Looking at the public debate about the first successful Unha launch, it is often presupposed that North Korea has an intention to act against the United States (or at least be able to), and so its capabilities are typically interpreted according to that assumed intention: The launch of a large rocket is marked as a camouflaged long range missile test, and the debate now focuses on this missile’s exact throw-weight performance, and on implications of the United States being in reach of a postulated North Korean nuclear missile capability. A different approach might offer unbiased conclusions, though: first, focus on a capability analysis. After that, figure out what these capabilities might reveal about the intentions. Only then start thinking about the threat and adequate responses. In this case, it means analyzing the Unha-3 on a wide scope, from technical details to the whole program, then considering what the consequences are, and only then re-evaluating the threat situation in a larger context. Reliable data on North Korea’s activities is often in short supply. We have high confidence that the data gathered from the launch footage and the recovered debris is reliable. But it is hard to judge the validity of other available data, especially data that comes from official North Korean sources. For example, some video footage and photos from the mission control room are also available. There is clear evidence, however, that the video is from a staged presentation. It is therefore unclear how reliable any information extracted from these sources might be. The basic design of the Unha-3 rockets launched in April and December 2012 seems to be widely the same. The Unha-3 of December 2012 was powered by a cluster of four Nodong-class engines and four small control engines. Available photos of the recovered engines suggest that there might be minor differences between “Nodong/Shahab 3”-engines in Iran and the Unha engine cluster. The control engines show the typical design (corrugated metal sheets) of old Soviet engines, often referred to as “Scud technology.”These small engines are not related to the engines known from the Iranian Safir launcher’s upper stage. With its Safir satellite launcher, Iran had successfully demonstrated that a two-stage rocket using a Nodong engine in the first stage and a wrung-out upper stage with highly energetic propellants (NTO/UDMH) can carry a small satellite weighing a few dozen kilograms into low Earth orbit (LEO). North Korea had to use a three-stage design for its satellite launch, thus indicating a different approach. An available video implies that the launch was filmed from within the launch control room (Figure 2). However, the various small videos that are displayed on the wall are out of sync, and the clearly visible Media Player interfaces suggest that the whole scene was recorded after the launch, with available launch clips being replayed for the recording. This raises the question of how reliable the displayed data is. The complete flight profile and the burn time of each stage could be extracted from the available footage. According to this, the burn times of the three stages are about 120 s, 200 s, and 260 s. The satellite was released at around 580 s into flight. According to the control room data, the second stage is powered by a Scud-class engine. This is further backed by imagery of the second stage in the assembly building, hinting at a small propulsion unit. The third stage seems to use NTO/UDMH, comparable to the Iranian Safir upper stage. This is further backed by the estimated tank volume ratio. However, some minor differences can be observed between the Safir upper stage and the North Korean Unha third stage. With the available data, it was possible to reconstruct a model of the Unha rocket that, in simulated launches, could mirror the published trajectory data within a few percent. The reconstruction is consistent with all the available data. It clearly shows that the Unha-3 is designed as a satellite launcher. The low-thrust engines in the second and third stage prevent the need for free-coast flight phases in the satellite launcher role, but in a ballistic missile role, they lead to significant gravity losses that result in a high performance penalty. A different second stage propulsion unit –a throttled engine, for example, or a simple Nodong engine – would offer range gains in the order of 1,000 km or more. In a missile role, the three-stage Unha-3 offers around 8,000 km range with a 700 kg payload. With different propulsion units, this could have been extended, perhaps putting the U.S. East Coast into range. The Unha seems to be designed as a space launch vehicle, with several constraints dictating the observed design (available engines, available technologies, etc.). Being in development for 20 years or more, the program pace is very slow, with only four launches so far. The current success rate of 25 percent is within the expected bandwidth for such a program. It will improve, but only slowly. Different design solutions would have offered more performance in a ballistic missile role. According to available data, the Unha-3 looks like a typical, slow paced satellite launcher program, producing single prototypes every now and then. A serious missile program would look different. However, close observation is recommended. Markus Schiller studied mechanical and aerospace engineering at the TU Munich and received his doctorate degree in Astronautics in 2008. He has been employed at Schmucker Technologie since 2006, except for a one-year Fellowship at the RAND Corporation in Santa Monica, California, in 2011. Robert Schmucker has five decades of experience researching rocketry, missiles and astronautics. In 1992, he opened his consulting firm, Schmucker Technologie, which provides threat and security analyses for national and international organizations about activities of developing countries and proliferation. Markus Schiller studied mechanical and aerospace engineering at the TU Munich and received his doctorate degree in Astronautics in 2008. He has been employed at Schumucker Technologie since 2006.